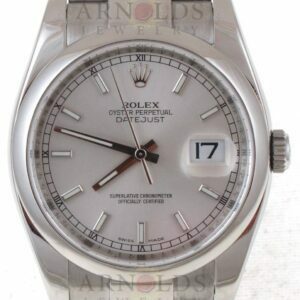 1958 Vintage Rolex Oyster Perpetual Model 6547. 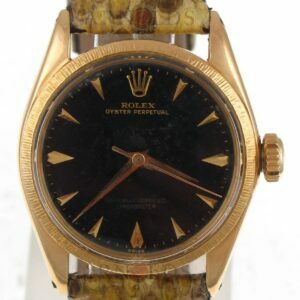 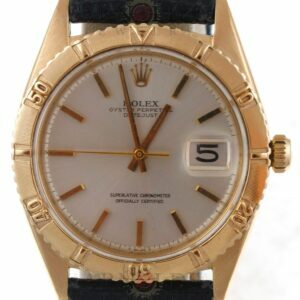 This is a pre-owned Rolex. 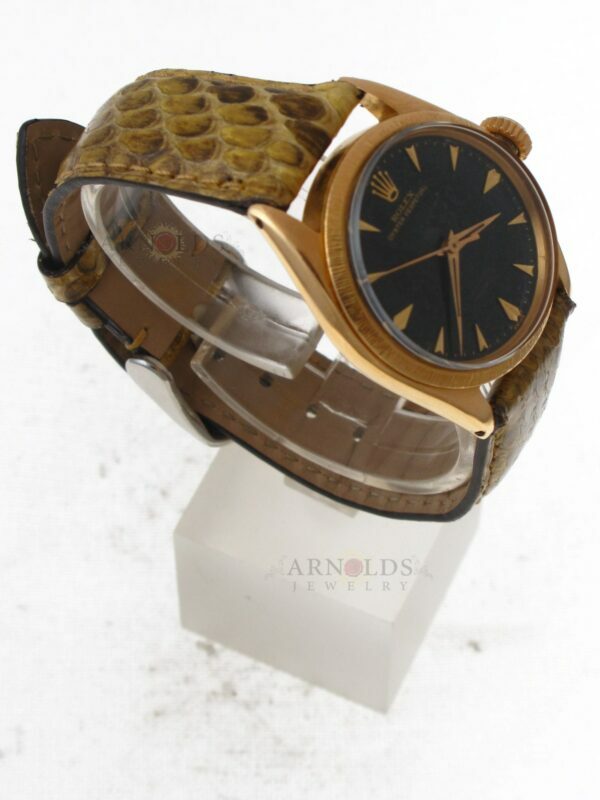 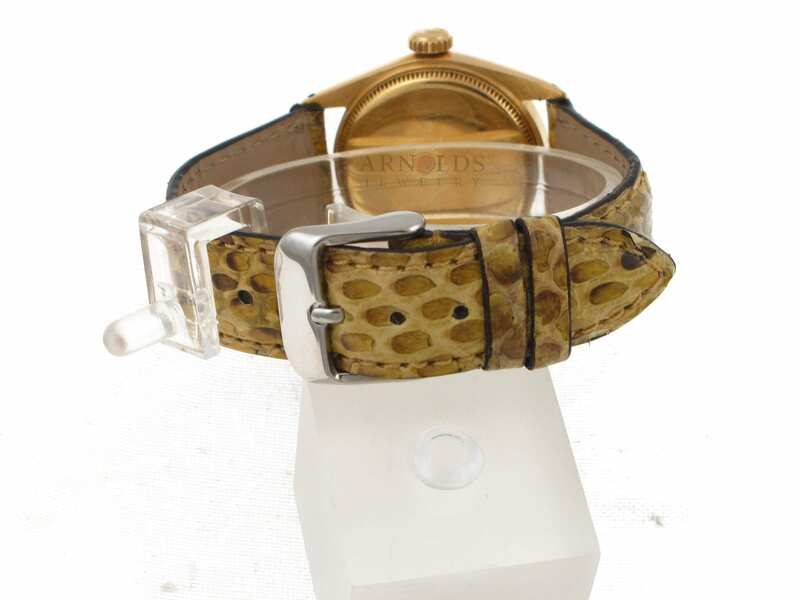 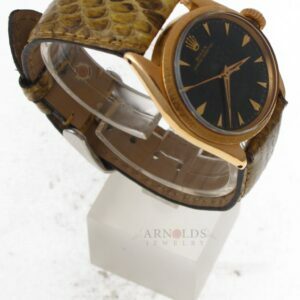 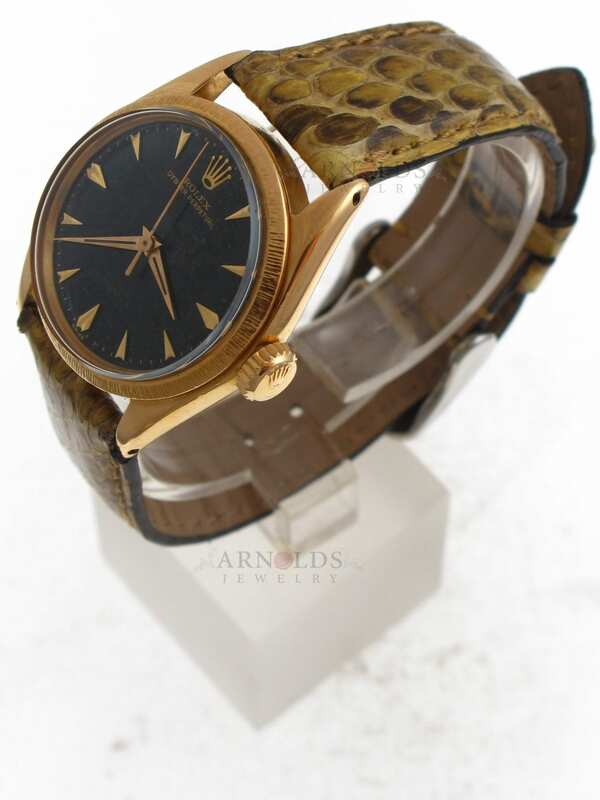 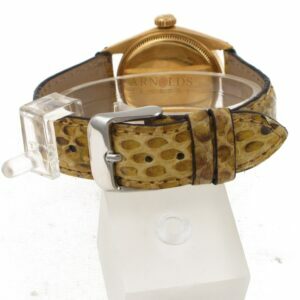 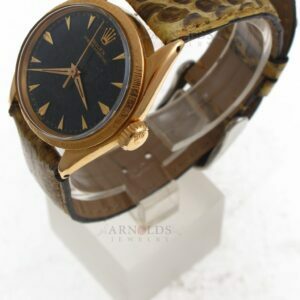 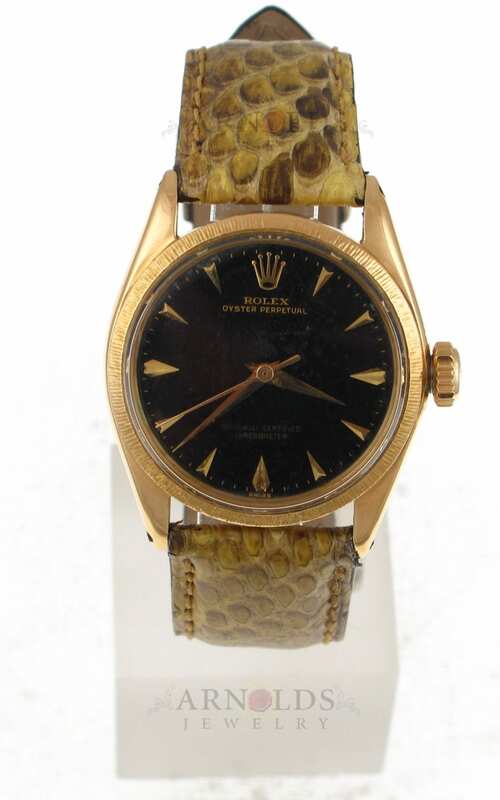 18kt Yellow Gold Midsize Oyster Perpetual with a Black Dial, and tan python leather band. 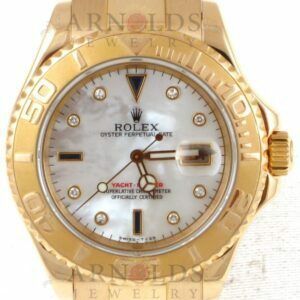 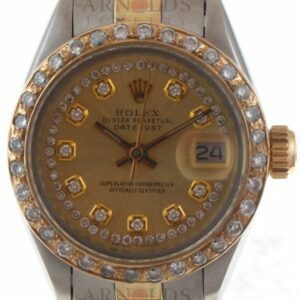 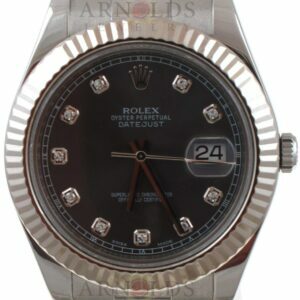 All Rolex watches sold by Arnold Jewelers have been fully serviced including factory finish. 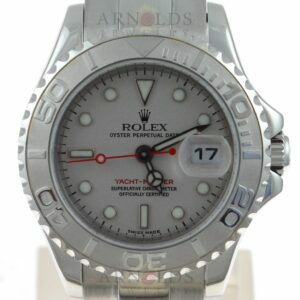 Comes with a 1 year warranty and we guarantee it with our own official certification. 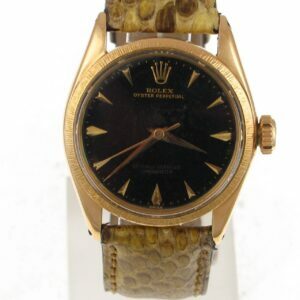 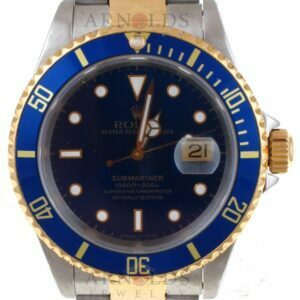 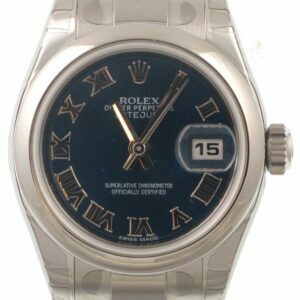 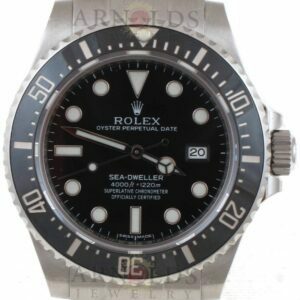 We sell only the finest pre-owned Rolex’s and this watch is no exception. 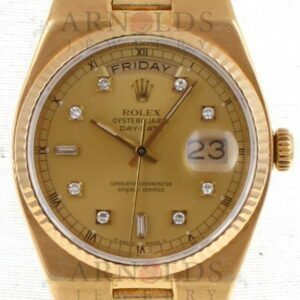 Additional photos can be supplied upon request.